This past week has been full. 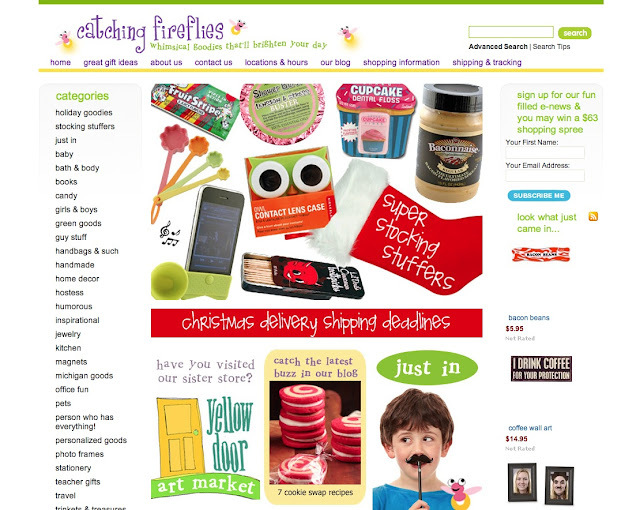 Full of emotion, full of classroom holiday parties, full of activity and full of reflection. "when we did art with the kids, the demons would lie down"
Life is complicated, amazing, heartbreaking, simple, exhilarating, always changing, utterly monotonous, achingly sweet and unbelievably short, that I know for sure. Sometimes the best accessories are the least expensive. JT made this necklace by cutting out a million felt squares. He asked me to wear it to his class party this past Monday. I've never loved a necklace more. His eyes lit up when I walked into his classroom with the felt masterpiece around my neck. People are a little more excited than usual about the Christmas pageant at church--Lulu is making her triumphant return as an angel. Years ago there was a little incident. I wrote about it over at Ring Around the Rosies. Click here to read all about it. Lulu at dress pageant rehearsal. Giving stuff away feels really good. One of the fun parts about having this blog is getting the opportunity to host giveaways. This week's giveaway was all about joy--people had to leave a comment about what is making them joyful right now and they were entered in a drawing to win a gift card to a most joyful store/web site catching fireflies. The comments were amazing and made me so happy, click here to read them. So let's keep the joy going...the giveaway is still in full effect. Leave a comment here about either what you know for sure this week or what is bringing you joy right now. You could win what I like to call the "arm candy of hope" pictured above as well as a $34 gift card to catching fireflies. You can make a difference. 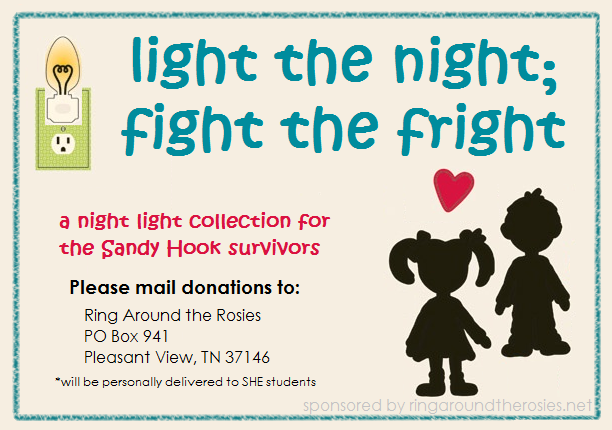 Here is an amazing way to help the families in Newtown, CT. My friend Jaima from Ring Around the Rosies, who also lived near Newtown for years, has put together a collection of night lights for the surviving children of Newtown. Click here for details.